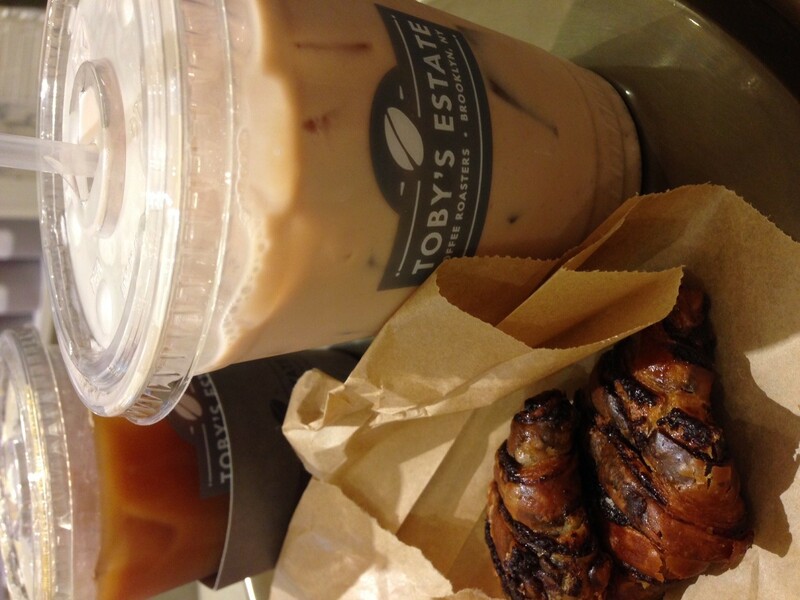 When you’re in the Union Square/Flatiron area this summer stop by Toby’s Estate Coffee for a delicious pick-me-up! 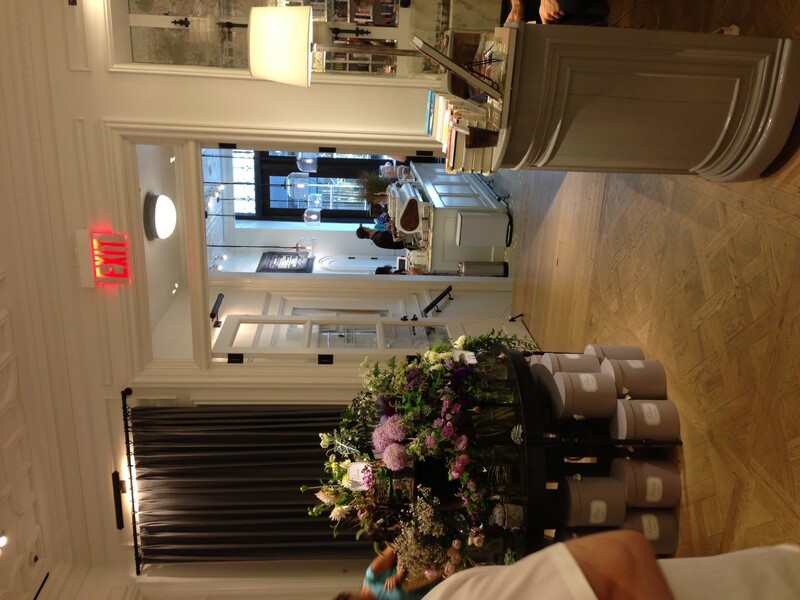 The small space opens into a carefully curated selection of books from Strand bookstore and gorgeous flower arrangements from Polux. 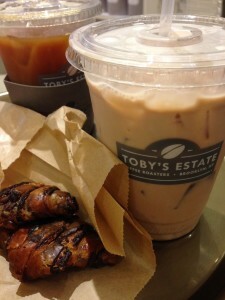 We had a sweet treat from Bread’s Bakery before we stumbled upon Toby’s, but be sure to check out their selection of sandwiches and sweets. I’m not the first person to “find” Levain Bakery (though the storefront is down a few stairs), but it’s never too late to write about it. This small bakery has quite a following and some days the lines are down the block for their famous cookies. 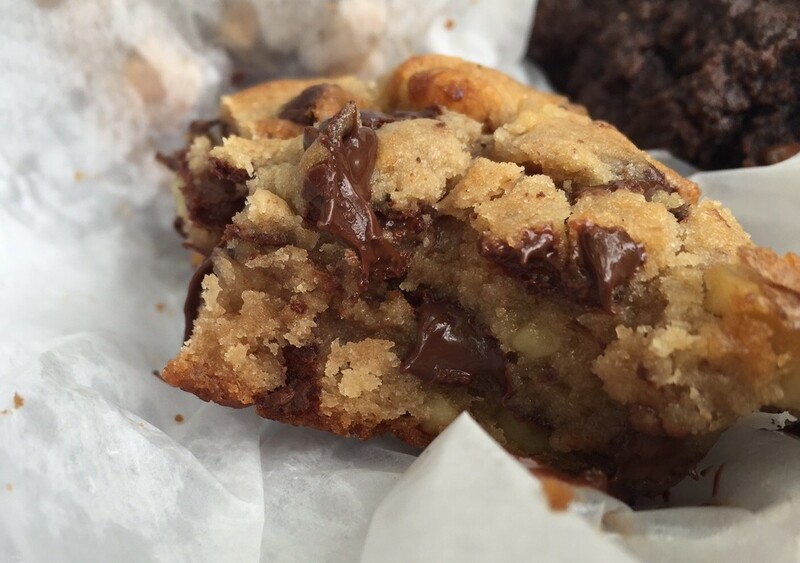 Yesterday afternoon’s treat consisted of Chocolate Chip Walnut and Dark Chocolate Chocolate Chip cookies and they did not disappoint! These decadent cookies are best eaten immediately when the chips are still warm and melted, but they hold up well until the next day too, which may be required given the size of them! 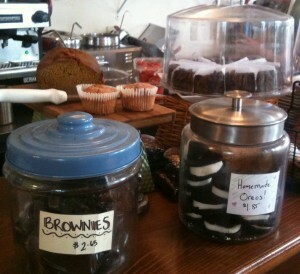 The bakery also has a selection of pastries, cakes and a few individual pizzas. Other cookies include Oatmeal Raisin and Dark Chocolate Peanut Butter Chip. Levain is the perfect pick-me-up and adds a “beginning of summer” quality to these days that are best spent outdoors. With the cool weather here to stay, a bowl of steaming hot ramen can be the perfect meal. All of Terakawa’s broths are pork based except for one with soy milk (pictured). 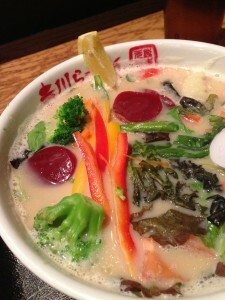 It had depth of flavor, perfectly cooked noodles and an adequate amount of veggies. The sesame seeds, dried garlic and hot sauce add-ins on the table made it hard not to finish every last bite. This restaurant is good for a quick meal at the counter by yourself or at at table with friends, and the perfect match for the cold months ahead. 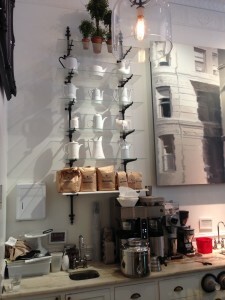 It has taken me way too long to write about one of my favorite bakeries in NYC. 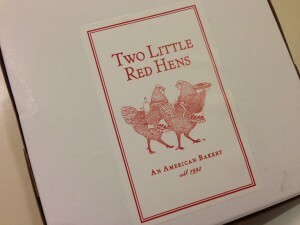 Two Little Red Hens on the Upper East Side sells classic baked goods and hands down the best cupcakes I’ve had. Their cupcakes, especially the mini-sized ones, have made many appearances on special occasion (or not so special occasion) dessert tables and as afternoon treats. Their flavors include classic vanilla and chocolate, marble, red velvet, peanut butter fudge swirl, key lime, carrot, ginger baby (seasonal), pumpkin spice (seasonal), banana, Boston cream and coconut cream cupcakes and cakes. Their signature flavor, Brooklyn Blackout, is a must have for any chocolate lover, whether your love is casual or serious. 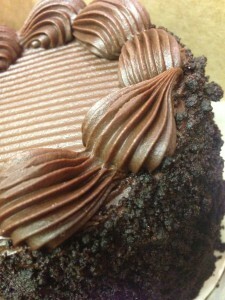 It’s a decadent, moist chocolate cake (pictured) with chocolate pudding filling (if it’s a cupcake), or layers (if it’s a cake), and then topped with chocolate fudge. 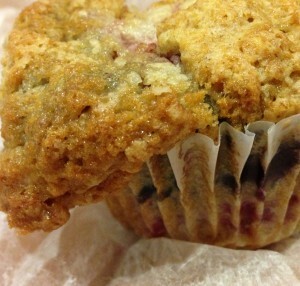 They also have a full range of baked goods, from scones and muffins, including a chunky apple muffin and the tri-berry muffin (pictured), to classic apple and cherry pies and chocolate chip and snickerdoodle cookies. Thankfully for my waist line it’s a 10-15 minute walk to the bakery from my apartment. But, if they decide to write a cookbook all bets are off. 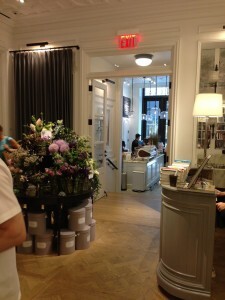 Highlights of my recent whirlwind weekend in New Orleans. 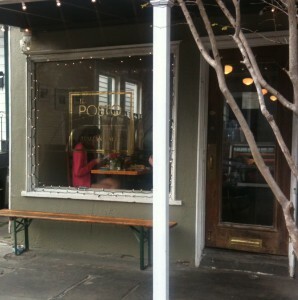 This breakfast and lunch spot on Dryades St just a few blocks off of St. Charles is the perfect place for a casual lunch or drinks with friends. 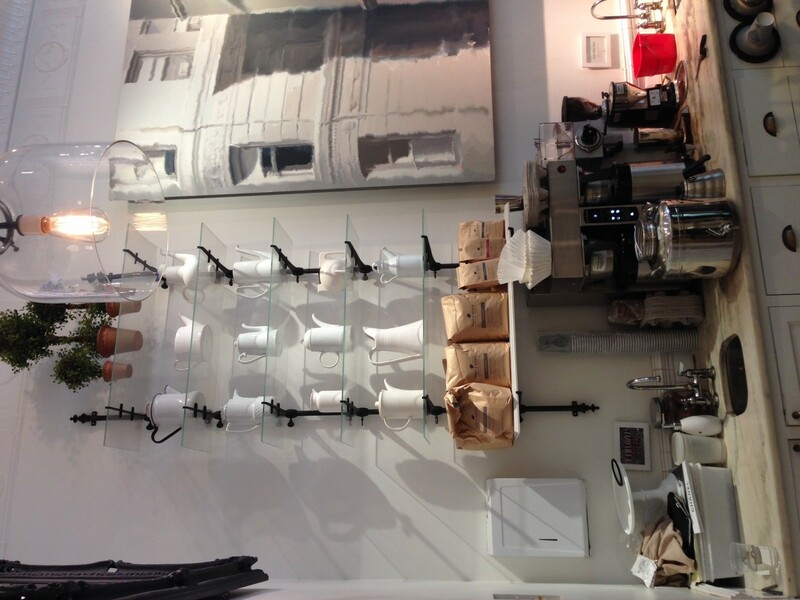 The menu ranges from paninis and salads to a full line of coffee and dessert. 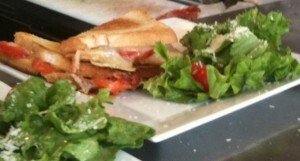 I can personally vouch for the Italian Hero panini, the beet & walnut salad and the pumpkin chocolate chip cookie. This uptown neighborhood bistro has a well thought out seasonal menu that is sure to please everyone at the table. We finished everything before any chance of pictures, but I can highly recommend the jumbo lump crab with horseradish aioli with beets, the drum fish over vegetable risotto and Louisiana crawfish and mascapone ravioli with wilted leeks in a brandy, oven dried tomato and herb cream. 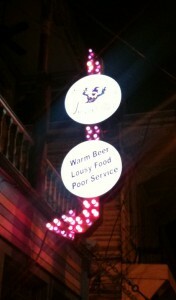 This crowded night spot is a New Orleans classic for generous portions of all of your Creole and Cajun favorites. Don’t let the “lousy food” sign fool you – even after a few drinks the blackened redfish, fried chicken and fried green tomatoes will remind you where you are. 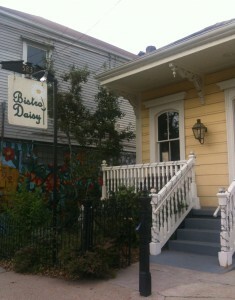 This bar on the up-and-coming Freret St has a good vibe, an amazing outdoor space and expertly mixed cocktails. The back wall houses an impressive variety of liquor (the website does it some justice) and can supply the ingredients for everything from your basic rum and coke to a Champagne Opportunity #3 (which I also recommend).